Views of the exhibit gallery under construction in January, February, March, and April 2012 at the Museum of History and Industry. The Museum of History and Industry in Seattle is moving into a new facility this year and to give the public a chance to experience the work and construction progress behind-the-scenes, they’ve installed a webcam overlooking the main exhibit gallery. Webcams aren’t a new idea (remember the panda cubs at the National Zoo?) but what’s clever about the construction camera provided by OxBlue is that users can see timelapse movies and four views for different dates at the same time. This entry was posted in Community engagement, Historical interpretation and tagged Museum of History and Industry, OxBlue, Webcam on November 6, 2012 by Max van Balgooy. Community engagement has become an increasingly important aspect in state and local history as a strategy for increasing impact, gaining support, and becoming relevant. The challenge for most organizations is that engagement can be so daunting and difficult, they don’t know where to begin, how to prioritize among several good ideas, or measure success. 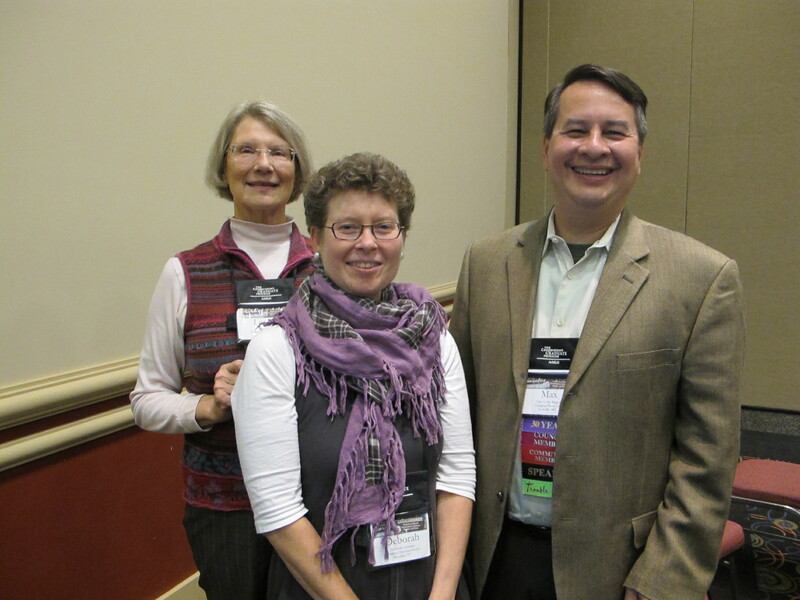 Lorraine McConaghy, Deborah Schwartz, and Max van Balgooy at AASLH 2012. At the recent AASLH annual meeting, I moderated a session on the experiences of two very different history organizations—the Brooklyn Historical Society and the Museum of History and Industry—whose work in community engagement is not well known in the field yet offer exemplary case studies to examine common strategies, how they should be modified to suit each place’s unique characteristics, and steps to avoid. This entry was posted in Community engagement, History and tagged Brooklyn Historical Society, Deborah Schwartz, Lorraine McConaghy, Museum of History and Industry on October 30, 2012 by Max van Balgooy.